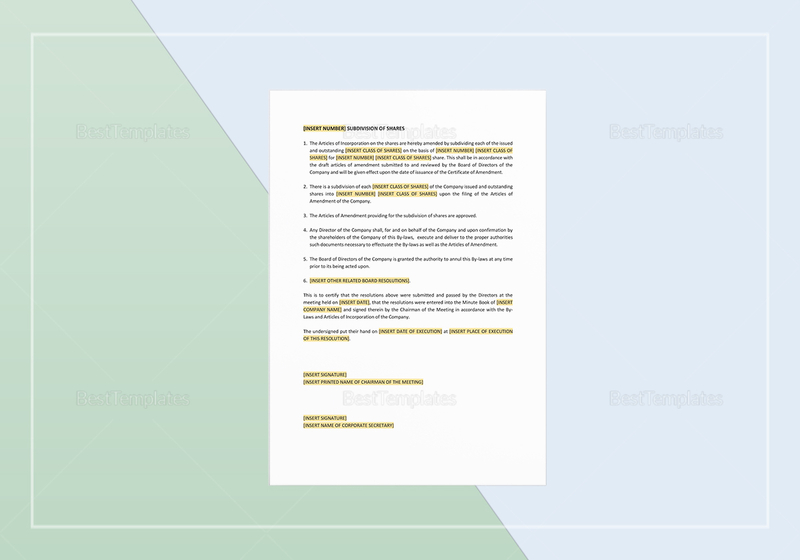 A well-formatted document that is easy to edit and can be downloaded at an affordable price. 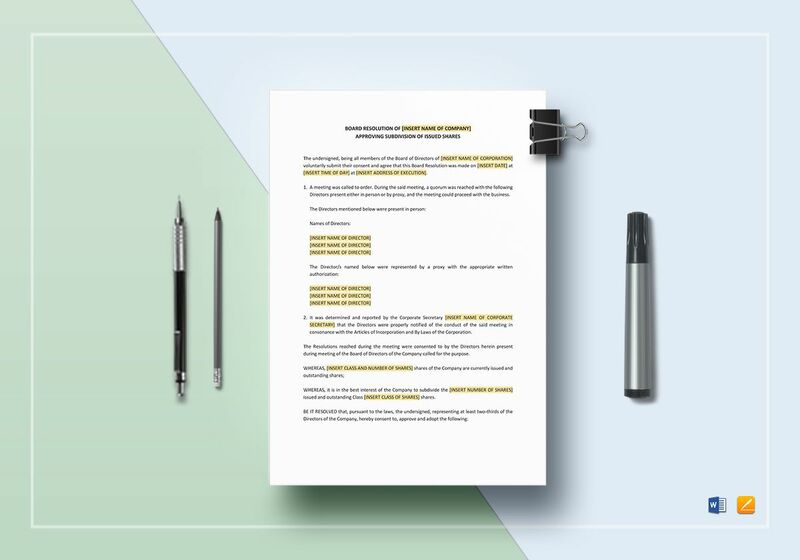 This template is designed as a written statement from the board of directors on their resolution approving subdivision of issued shares in the company. Printable and easy to customize in MS Word and Apple Pages.